CounterKraft™ Butcher Paper is the highest grade of premium Butcher Paper on the market today. Manufactured by Georgia-Pacific, this versatile sheet makes fresh food look even better and helps enhance food safety and handling. All of our butcher paper is 100% FDA Approved. It’s proven to provide superior blood, oil and stain holdout. Custom printing is also available so your logo or other brand statement can be printed on your paper. All CounterKraft™ Butcher papers are FDA approved. Standard basis weight available is 40#. Check out the custom Butcher Paper we created to promote the Deadliest Catch! CounterKraft™ Pink Butcher Paper is made to the same exact standards as the CounterKraft™ White Butcher Paper. The pink color dresses up the look of sandwiches, fresh meats, poultry and fish. CounterKraft™ Pink Butcher upholds tradition when used as a sandwich wrap and adds a mark of distinction to the wrapped item so it stands out from other wraps. Standard basis weight is 40#. Want more information? Learn more about pink butcher paper. Sentry Brand Freezer papers are the most economical way to store meats, fish and poultry in the freezer for extended periods of time. 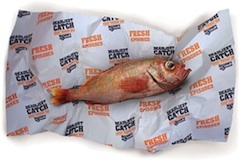 The paper is specially crafted to conform to the shape of the food item being wrapped, while the poly coating zips moisture in to prevent freezer burn. Commercial Freezer Paper is often used in delis, restaurants and grocery stores as a quick-serve sheet to wrap sandwiches, deli meats and cheeses. It is also used by butchers to store and preserve meat. We offer custom printing including “Safe Handling” instructions or logos for custom branding. All Sentry brand freezer papers are FDA approved. Colorful steak paper helps meat, poultry and seafood stand out on display in grocery, butcher or deli display cases. Our steak papers are high quality, very durable and inhibit blackening and spoilage. Standard colors available are green, pink, peach and black. Standard basis weight available is 40#. Camo freezer paper offers a creative way for hunters, butchers and grocery store owners to protect and preserve meat and helps distinguish meat from different excursions or seasons. Learn more about camo freezer paper. Contact us to help meet your food service paper needs. We now offer consumer rolls of Pink Butcher Paper for our at-home chefs. 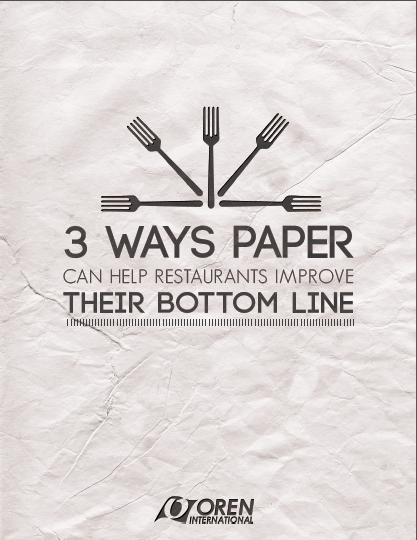 Download our free e-book with creative ideas for using paper to boost your bottom line.